And I’ve just finished reading Dear Leader by Jang Jin-Sung, which is a memoir/autobiography of a guy who escaped out of North Korea (and escape is the right word, though fleeing for his life is more apt). He was a poet/writer/musician who somehow got himself into the inner-most circle of Kim Jong-il (this circle is referred to as "the Admitted," which tells you something about the cult of Kim) and right when he was riding that popularity wave at its highest, one careless slip, one "unthinking" moment meant his life was up for grabs and escaping to South Korea (via China) was the only option. It is an immensely affecting insight into one of the most secretive, insular countries in the world and a disturbingly intimate look into Kim Jong-il’s reign and also reveals the history of the country post WWII, the split with the South, and how the North Korea of today came into being seen not from an outsider’s perspective, but a man who had access to government documents and workings. 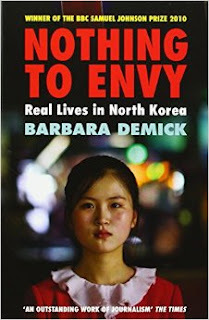 I’ve read and recommended Barbara Demick’s Nothing to Envy countless times and while that chronicles the lives of the ordinary Korean on the street (so to speak; it’s essentially a series of interviews with six defectors given some novelisation stylings), this gives you the chance to see North Korea from a different angle, from a real insider’s view, life in N. Korea for the privileged few and what that looks like and means. As Jin-Sung recounts his life and escape, it also reveals how North Koreans are seen and treated by the Chinese, by South Koreans and by fellow North Koreans, particularly ethnic Koreans living in China. As is the case with Demick’s book, there are several moments reading the book where I put it down, got up and walked away, got myself a brew, went for a walk, just did something to give myself some breathing space before I continued reading, as lumps-in-the-throat appear with more frequency than is comfortable and what you read becomes almost overwhelming. 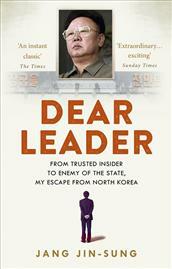 Yeah, I would say Dear Leader is absolutely worth reading as it is bang up-to-date (2014) and if you haven’t read Nothing to Envy (2009), that’s an essential read too! 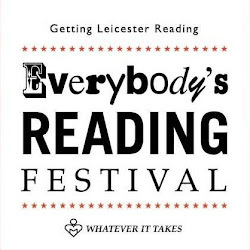 Dips Patel is a graduate in Graphic Design which means he can colour in without going over the lines and when he does he makes it look deliberate, cool and edgy. He much prefers fine art where the art of talking nonsense is finer still allowing him extremely moderate success in introducing his work to a wider audience. Hobbies include reading stuff, watching stuff, commendably misguided attempts at painting stuff and consuming copious amounts of coco pops, clementines, curries, cakes and cocktails, not all at the same time which is frowned upon in polite society.